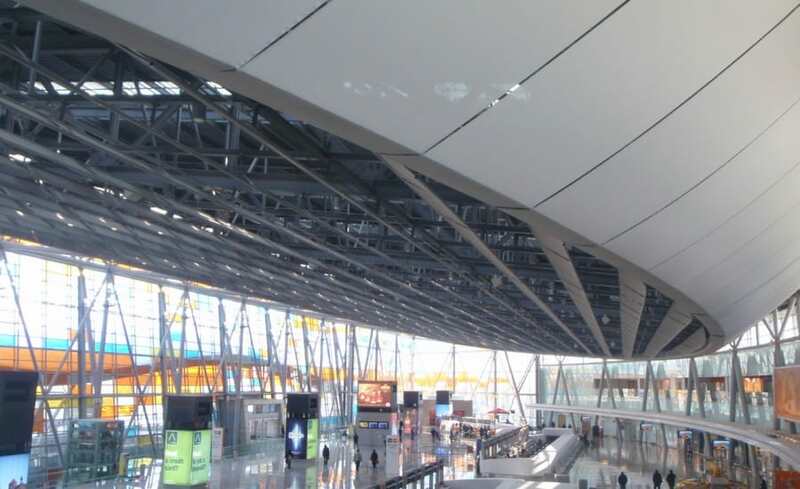 Having completed work on an exterior canopy for the new terminal building at Zvartnots Airport, the Architen Landrell team were approached by Corporation America to design, manufacture and install light diffusing fabric baffles for inside the building. 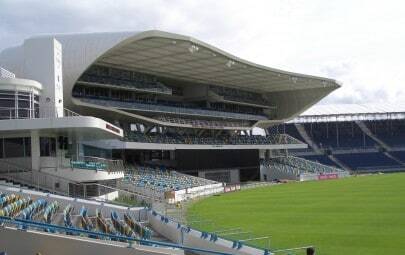 The architects felt that something was required to conceal the internal roof cladding and having spoken with the Architen Landrell team, a design for fabric backed panels covering a space of 2,042sqm was developed. 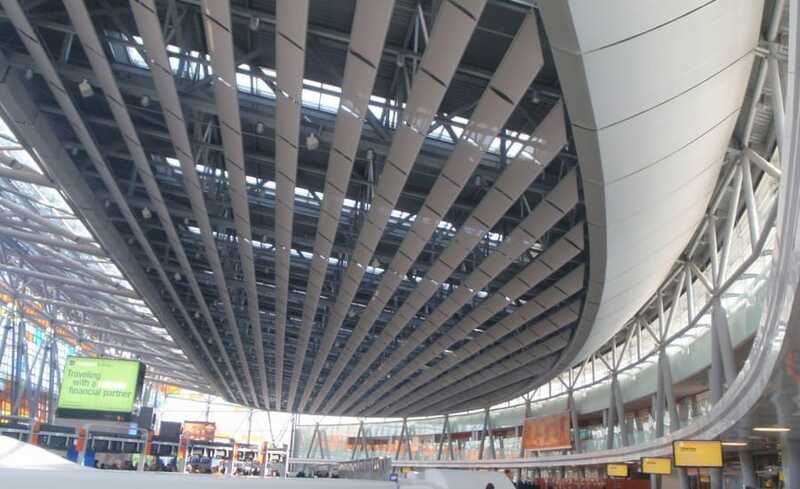 As well as concealing the roof cladding, the baffles also act as protection from the sunlight, diffusing the light as it pours through the front glazed wall of the terminal building. 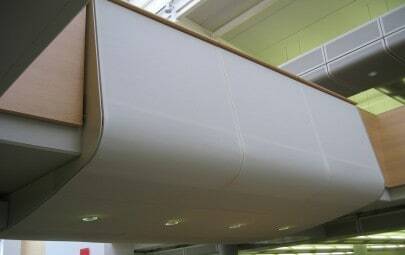 Manufactured from a lightweight, grey PVC coated glass mesh light can permeate the membrane whist concealing the ceiling above. In addition, the suspended fabric can double up as a safety shield should the structure undergo any major shock, such as bomb blast. 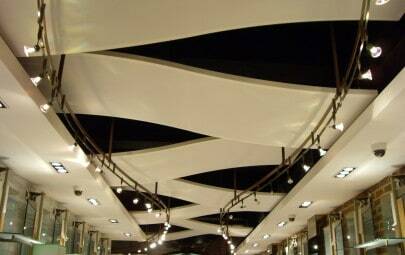 The nature of tensile membranes is that the fabric will absorb the stress created by a blast and unlike traditional building materials wont shatter, endangering personnel below.